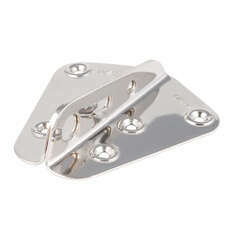 Here at Coast Water Sports we stock a great range of bow fittings, bow plates and shroud plates for your sailing dinghy. Shop the complete range today and discover bow plate combos, shroud pate covers and much more. We only supply the best and this is exactly the case when it comes to our deck fittings and fixtures. Our bow and shroud plates are no different and you can see for yourself why we’re so popular among dinghy racers and water sports enthusiasts. 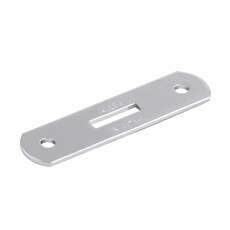 From Allen Brothers to RWO, we stock the best manufacturers around and you can rest easy knowing you’re getting the best standard possible in bow and shroud plates. If you’ve got any questions about which piece of kit to choose from, get in touch with our friendly team today and they’ll be happy to help. We’re always on hand to offer expert advice that will hopefully help you on your journey. 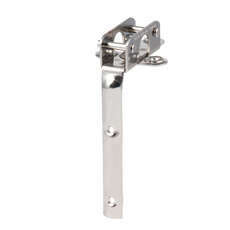 If you’re looking to improve your sailing dinghy or get out and racing, invest in our deck fitting and deck fixture range today and never look back.